The verdict: Growing up in my household there was Mr. T on TV and Mrs. T’s in the freezer in the form of pierogis. I adore pierogis. 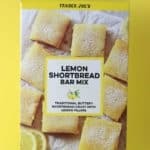 I wish Trader Joe’s sold them, but these are somewhat similar. Most cultures have a dumping of some sort. These are Russian and translate to something to the likes of an ear. 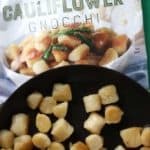 These are almost similar in shape to the Italian Orecchiette. 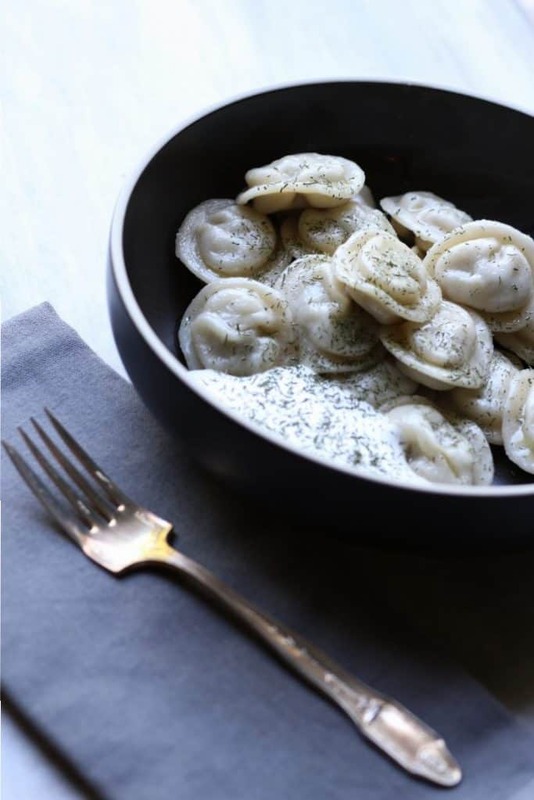 However, these pelmeni are dumplings stuffed with chicken, herbs, and mushrooms. I opted to boil these. The cooked quickly in about 3 minutes. The outside of the dumpling was a bit tacky out of the pot so I added a bit of olive oil to prevent these from becoming one big clump. Served with a bit of homemade sour cream and dill the way I would enjoy my usual box of Mrs T’s; I thought they were pretty good. The dumpling noodle was good out of the pot, but upon the reheat the next day was quite gummy tasting. The meat inside had the same texture of a meatball. When picked apart you could see the mushrooms, onions, and dill. It had a nice subtle flavor. On the downside to things, these left me feeling a bit hungry. While the bag indicated that there are 5 servings, if you are going to make a meal out of this there are only 2-3 servings in this one bag. Yes, I polished off half the bag in one sitting. Unlike Mrs. T’s pierogis, these dumplings did leave me a bit hungry. I strongly suspect that had I made this as part of a soup I would have been more satisfied with these as a meal. I’ll save that experiment for the next bag I purchase. 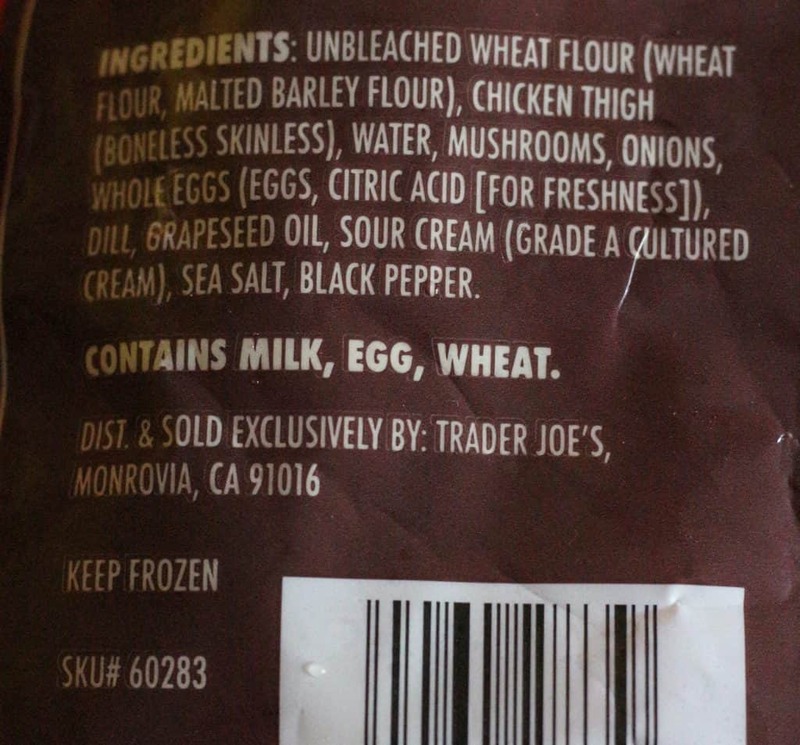 While this bag won’t make my A-Team of Trader Joe’s picks, I do think it is one that is worth a try. 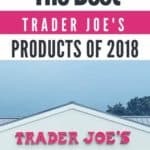 If you’ve tried Trader Joe’s Steamed Chicken Soup dumplings and liked them, then this too is a good pick. 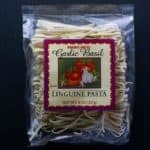 For $3.99 for a one pound bag it makes for a super quick meal. I just wish the bag could be resealed. I thought babushka translated to hat, but it actually means old lady or grandma. Would I buy this again? 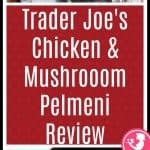 I would buy Trader Joe’s Chicken and Mushroom Pelmeni again. I think there is some good possibilities of what you can do with it. It was good from being boiled but I suspect that this might be better added to a broth and used as dumplings in a soup. That seems like a reasonable price for something that is energy/time intensive to make on one’s own. 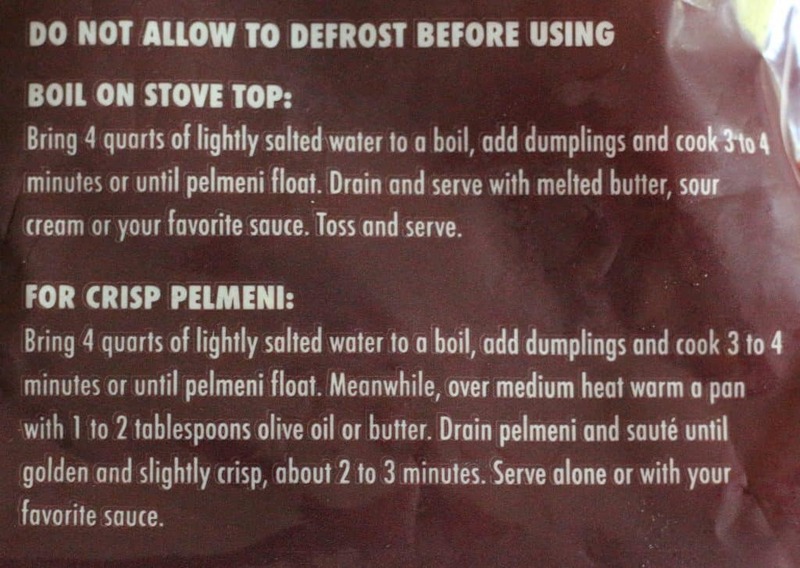 Your light sauce looks perfect for a good way to taste the dumplings. But like you, I think they would shine in a good homemade chicken veggie soup. It would add a big wallop of pizazz to an otherwise tasty, but ordinary soup. These tender bundles of goodness would probably be overwhelmed by a tomato pasta sauce, but some melted butter, black pepper, and bits of something green might make a tasty side dish. How about a mushroom/sour cream sauce/gravy to point up the mushrooms inside? 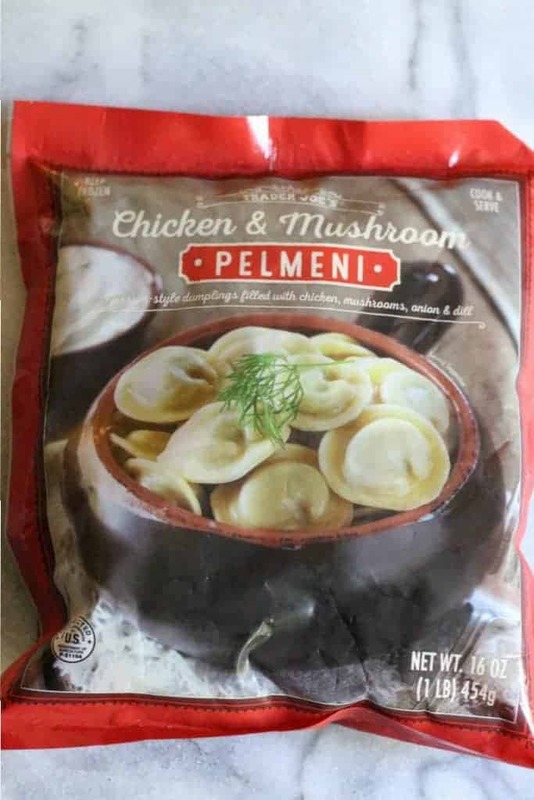 Oh I love pelmeni! Around here, we also fry them in a pan with a bit of a seasoning 🙂 And they are really good as dumplings in a soup! The best way to enjoy them the next day is to fry them on a pan for a little bit, trust me, they will be delicious. Funny, I am currently eating these with a left over mushroom gravy I made, and it’s not bad! The dumplings are a little bland. All I can really taste is the dill in them. The mushroom gravy does well to add flavor. I find that the serving size of a lot of things at TJs are a bit unreasonably small. 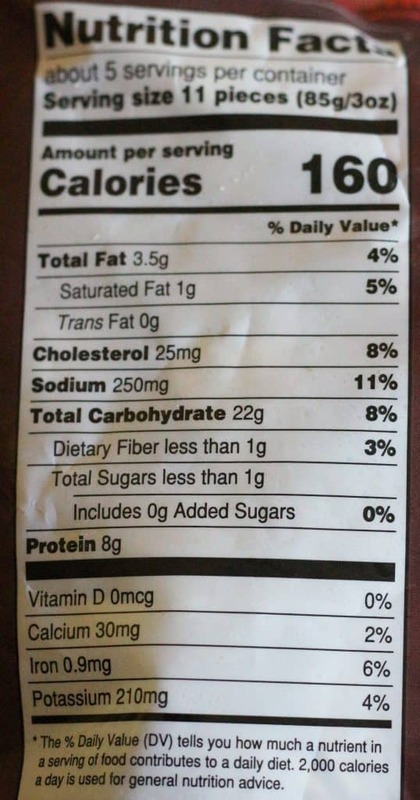 Probably to keep the Sodium and Calorie content low. My wife and picky 13 yr old daughter LOVED these. We boiled, then pan-fried them. I made an herb olive oil with fresh parsley from my deck, while my daughter preferred sour cream. Will absolutely buy again. That sounds like a really good combination. I’ll have to try them pan fried. I heard from a few people that added texture makes a big difference. Thanks for stopping by and sharing your thoughts! 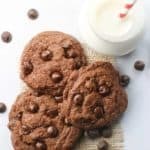 Different Tom here… my family LOVED these, but we made them following the crisper recipe – makes a huge improvement! And like the previous Tom, I made an herb olive oil from my deck garden with dill, thyme, and Italian parsley. Yumtastic. Even our picky 12 yr old loved them and keeps asking for them again. Hey Tom! I think for me that would have made a big difference too. Good to know about the herb combination. Sounds really awesome. 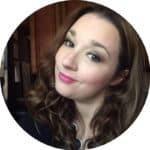 Thanks so much for taking the time to share your thoughts!